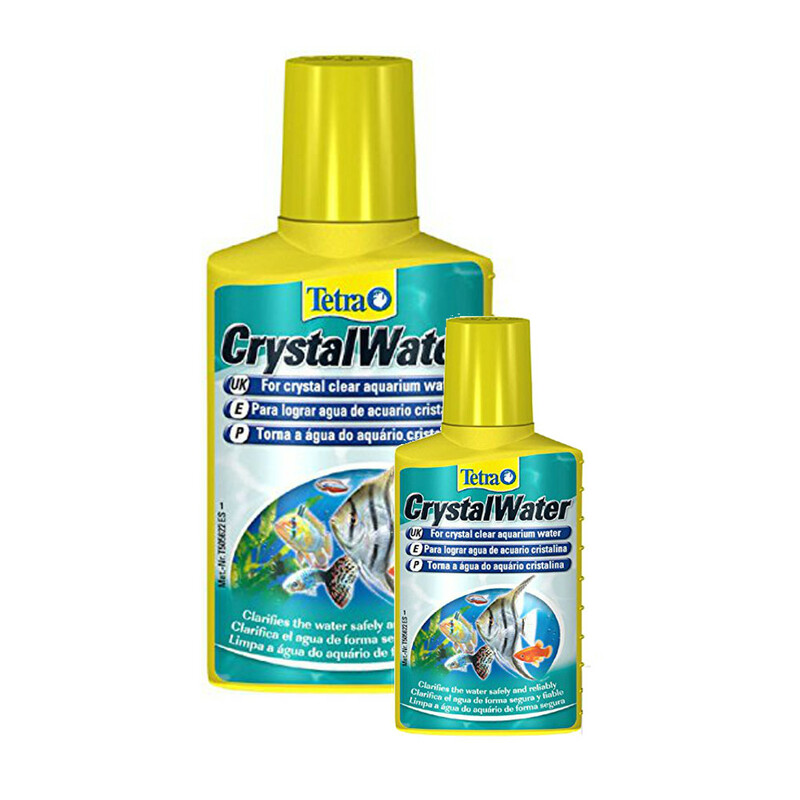 Tetra Aquarium Crystal water, a fast acting treatment to achieve clear aquarium water. 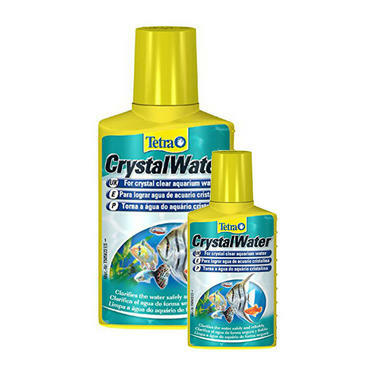 Tetra Aquarium Crystal Water cleans dirt particles from your water. These particles may give your water a cloudy or dirty look to it. The active ingredients in the treatment bind small particles ,found in the water, into larger ones that can then be filtered from the water by your aquarium filter. As the treatment works, a small white cloud will appear. This shows the treatment has been effective. The cloud is not dangerous and will clear away in a few hours. 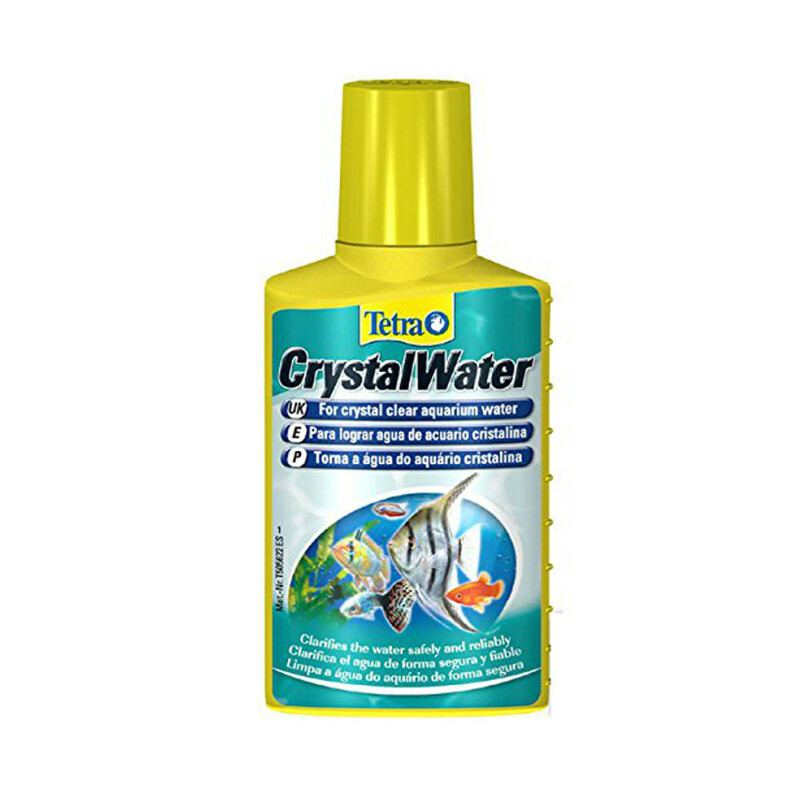 Crystal Water has a gentle mode of action and will not harm the aquarium inhabitants. Application: Add 5 ml per 10 litres of aquarium water.